via The dystopian danger of police body cameras | MSNBC. I am a proponent for police body cameras. Also, I am hoping when camera technology proves its worth as a invaluable evidence collecting tool for prosecuting bad guys or gals, for protecting police officers from unfounded complaints, as well as identifying officers who require further training or officers who have no business serving the public in a LE capacity, we will use camera technology to protect abused and maltreated children by monitoring the common area of homes in which caregivers have established a track record for failing to properly raise, nurture and/or supervise their children. Children who feel safe and protected are happy children who mature into happy teens and adults, making them less likely to become involved with police while peacefully pursuing their vision for L, L, (Love) and Happiness. Children who do not feel safe and protected grow up depressed, often not giving a frig about anyone, more inclined to commit anti-social acts that emotionally or physically harm their peaceful neighbors, getting the police involved and subsequently filling our prisons with depressed teens and adults who wish when they were kids, there was a camera in their home to make them feel safe. Early in my police career when I was assigned to the Brooklyn community Shawn ‘Jay Z’ Carter raps/writes about attempting destroy by selling poison to depressed people living and working in his community, and rapping about engaging in extremely harmful anti-social behaviors designed to protect his drug operation from rival gangs in adjoining neighborhoods, I really wish I had a body camera to document the human dysfunction in the community that caused me and peaceful people living or working in the community to fear for our safety. HOWEVER, police body cameras have one MAJOR drawback that impacts a significant number of people in many American communities. In other words police do not have to issue a traffic ticket, they are permitted by law to “warn and admonish” an alleged traffic law violator. Here is where the big HOWEVER comes in. When a cop lawfully detains a person, and during the investigation locates a small amount of crack, cocaine, heroin, ect, on the detainee’s person, the officer does NOT have discretion, by law and PD guidelines he or she MUST arrest the person committing a CRIME in the officer’s presence. I know for a fact during the 80s and 90s there were dozens and dozens of people living or working in Brooklyn, NY possessing small amounts of illegal dangerous drugs, who were detained by police though they were never arrested and charged with committing drug crimes. How do I know? Because I did NOT arrest every single person I observed possessing a small amount of narcotics or narcotics paraphernalia. If I were to arrest every person I observed possessing a small amount of narcotics I would have spent much of my career processing and testifying about drug arrests – taking from me valuable time needed to locate and identify dangerous, depressed, unpredictable, sometimes suicidal (NY Times May 18, 2015 – Rise in Suicide by Black Children Surprises Researchers) teens or adults with guns and box-cutter razor blades who were violently robbing their peaceful neighbors in order to acquire funds to purchase illegal drugs, sneakers or the latest clothing fashion craze. 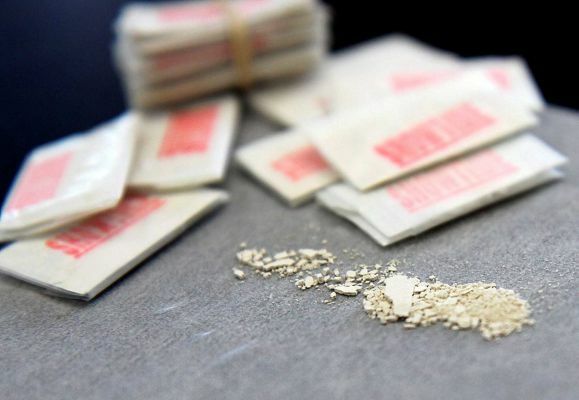 Frankly, if there was a body camera recording my self-initiated police investigations I would be very reluctant to disregard NYS law and NYPD guidelines by ignoring small amounts of illegal dope or other contraband my body cam recorded me discovering on a person. A big part of being a good cop is possessing and using common sense. My common sense told me, the community was better served by me ignoring these low level drug violations while using them to spread good will and possibly add another informant’s name to my list of neighborhood snitches who benefited from my good will. One thing I am fairly certain of…the people who become incensed that Americans of African descent are disproportionately arrested for drug offenses, well, they would really go out of their minds if cops were actually arresting every person they discovered possessing a small amount of illegal narcotics. Despite this drawback to police body cameras, I really wish I had one recording my activities. I am inclined to believe after video and audio recordings of my investigations and arrests were made available to defense attorneys, more attorney’s clients would accept Plea Deals resulting with me spending more time investigating crimes and much less time sitting on a hard bench in a courthouse hallway waiting to testify for The People. Come to think of it, why are peaceful Americans allowing prosecutors to offer plea deals when police have gathered on video unimpeachable evidence that a defendant committed the crime(s) he or she is charged with? Bring on police body cams! In the 1980s after completing NYPD academy training I was assigned to a lower Manhattan precinct Neighborhood Stabilization Unit (NSU) where for another six months, field training officers continued educating me about a new career I was looking forward to learning about and excelling in. 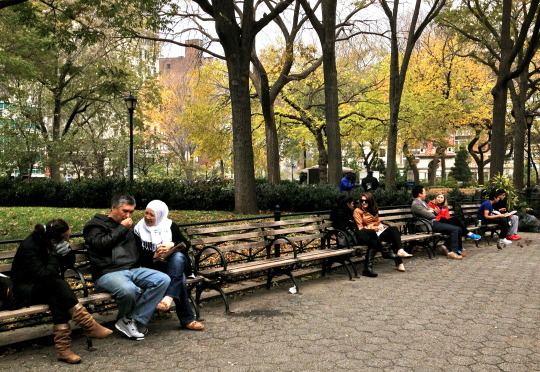 My first encounter with a public-stoner occurred when I was assigned to a foot patrol post covering a downtown New York City park. After arriving on post, part of my duties and responsibilities is to inspect my post to insure it is free of hazardous conditions and safe for public use. While inspecting the park I observe a young man wearing a black leather jacket embossed with a few heavy metal band logos, sitting on a park bench rolling a joint. I approached the young man, willfully ignoring my sworn duty to arrest people I observed actively committing a crime, (possessing marijuana that is viewable in public is a misdemeanor) I advise the young man to leave the park, knowing that if a police supervisor observed my actions, I could be brought up on police department charges and specifications, and as a probationary rookie summarily terminated for failing carry out my sworn duty in accordance with my training and PD guidelines. Fortunately for me, the stoner, and the residents/business owners who like seeing a uniformed police officer patrolling their neighborhood park, the stoner peacefully walked away. Had he objected I would have arrested him and spent some time processing the arrest at the precinct while sitting down, enjoying a cup of coffee, chatting with other cops, and for the first time in my new career learning the ins and outs for processing a misdemeanor arrest. However, I decided not to arrest this young man because I believed patrolling this park was more of a priority than wasting police resources on a irresponsible, yet otherwise peaceful and compliant citizen. Plus, I did not want to garner a reputation as a cop who makes “BS” collars. I became a police officer to help identify and lock up dangerous people, not peaceful knucklehead stoners. A short time after cutting the stoner some slack I spy him sitting on another bench puffing away in close proximity to a few moms who gathered to chat as they gently rocked their baby laden strollers. Of course I had to laugh before once again approaching the head-banger, this time with the intention of elevating the level of police action I take. Though again I failed to properly carry out my official duty and disregarded my training when instead of charging him with a criminal “misdemeanor” complaint for burning marijuana in public, which would have required time processing the arrest, I issued a summons for ‘unlawful possession” of marijuana, a “violation” of law, not the more serious misdemeanor charge. After issuing the stoner a summons answerable in criminal court at a later date, I advised him he will be arrested the next time I see him possessing or burning in public, no ifs ands or buts, he will be cuffed and confined in a detention cell while I process the criminal complaint I will bring against him. Again, the stoner was cooperative and left the park with a yellow criminal court ticket in his pocket instead of handcuffs shackling his wrists. Afterwards the moms called me over, thanking me for taking police action and helping to keep their park safe. As I acknowledged their appreciation I wondered if they would feel the same if they were aware I did not follow my police training and the law while trying to keep them feeling safe? I wondered how they might react if they learned I was brought up on internal police department charges for not fully carrying out my duties and responsibilities in accordance with PD procedures and NYS law? One thing I did not ponder was if these ladies thought I would have acted differently had the stoner been sporting a bushy brown afro and wearing a Public Enemy T-shirt. I didn’t consider this because under the same circumstances, I would not have treated differently, a peaceful complaint stoner with a bushy brown afro. Several years later this incident was put in perspective when I arrested a man who possessed over six-hundred decks of heroin after I stopped and questioned him as he exited a known narcotics location. At the time I was in a precinct anti-crime plainclothes detail, which was around the same time some Bklyn cops had gone rotten and caused the department to react with policies that inhibited police work. One policy was that precinct plainclothes units were to refrain from making narcotics arrests. I was absolutely fine with this policy because I was more focused on identifying people carrying guns and committing robberies. However I also realized people who deal drugs carry weapons so when we spied a well dressed young man wearing a sports coat with a huge bulge in the breast pocket locking the front gate of an abandon looking storefront at a location known for narcotics trafficking, we decided to have a conversation with him and learn what he is about. Sadly for him he acted nervous and made some furtive moves that led to a pat-down and the discovery of a huge cache of heroin that I could not ignore. Honestly, we were not looking for drugs. We approached this man because the circumstances and our experience told us he may possess a firearm. With all the hoopla the department was making over narcotics arrests and its genuine concerns for preventing and/or identifying more rotten blue apples, we really did not want to get on the department’s radar by making drug arrests. I mentioned this man possessed an abundance of dope that “I could not ignore.” Does this mean there were occasions I did ignore illegal substances people possessed? You bet there were…and you do not hear those who benefited praising the cops who let them go when they were caught red-handed with a small amount of dope. During the period I was assigned to a anti-crime detail focused on “preventing violent street crimes” I was one of the cops a small segment of the NYC community is beefing about. My partner and I would review crime reports looking for unidentified suspects with unique descriptions or characteristics, and then patrol the areas where the suspects were last seen. We also carried several department photos of people wanted for violent crimes in our assigned precinct, as well as prominent cases in other precincts and Boros. Isn’t this the type of police work a majority of the public expects officers to do when looking for people alleged to have engaged in criminal conduct? What would be the point of recording perpetrator’s descriptions if the police did not follow up and actively attempt to locate people who matched the description of suspects wanted for committing street crime(s)? I realize this is where the crux of some people’s beef lies. Being detained and questioned on the street by police officers is an event I’m certain most of us do not appreciate. I also understand there are officers who act less than professional when dealing with the public. I really wish they would get a clue and keep their personal feelings out of police work when dealing with a public that often shows the police disrespect and in some cases overt hatred for police authority. I worked with a few cops who did not know when to keep their mouths shut, often escalating a situation for no legit reason other than to express their personal feelings. I did not like these cops at the time and I certainly did not like them when I became an investigator. Unprofessional cops made my investigative job more difficult in that, often I had to gain the trust of a complainant or witness before gaining their cooperation. With that said, when I was assigned to the anti-crime detail we focused on identifying perpetrators of violent street crimes and burglaries. I can’t tell you how often I detained and questioned a person who matched the description of a bad guy, patted down and/or searched a detainee and discovered a small quantity of marijuana or other illegal substance. Now, after discovering the small amount of drugs I have a choice to make. My bosses and their bosses expect me to make felony arrests for guns and violent crimes, which I am trying to do. However, in the process of locating violence prone people I encounter many people with small amounts of dope in their pockets. Hmm..what do I do? Arrest every person I find with a small amount of dope, thereby upsetting my supervisors who expect me to be arresting violent criminals…or do I ignore making a drug arrest, remind the doper that he/she could be arrested, but today is his “lucky day,” admonishing him to remember my good-will and generosity after I intentionally fail to arrest him? Frankly, if I began arresting every person I caught with illegal drugs, my assignment as a plainclothes anti-crime cop, which is a department career path toward detective duties, would be short-lived. This is a topic that many cops would not openly discuss, though I have a feeling many NYC people have benefited from the generosity and good-will of many officers who work in high crime communities and do not see the point, or benefit, for arresting every person they observe violating drug laws. If the people grousing about police arresting a disproportionate number of “black people” for drug offenses were to learn how many cops overlook drug offenses committed by “black people” they might change their tune from outrage to embarrassment. However I do not expect the dopers who benefited from police good-will to stand up and be counted. As I mentioned, at the time the department was dealing with the aftermath of a few rotten Bklyn cops, putting pressure on supervisors to be on the look-out for more rotten cops, so I understood the ICO was just doing what he is told to do. However, I was still a little peeved that I was indirectly being told I should not be arresting people possessing huge amounts of heroin for sale. Especially annoyed in light of the fact he knows my partner and I make many gun collars and sometimes things like locking up a guy with hundreds of glassiness filled with poison for sale is unavoidable. This ICO was a gentleman and solid boss who knew his stuff, but the department’s policy at that time was forcing him to place me in a position where if I wanted to further my career, I may have to jeopardize my career by not making a drug arrest that I am legally bound to make when I observe illegal drug activity or possession. So instead of being offered a small “atta-boy” for what I believed was a pretty decent drug arrest, my career path within the department was being threatened for making this Class A-II Felony narcotics arrest. Now, what do I do when I come across another dope peddler, and believe me there were plenty in this community at that time. So many peddlers they were shooting and killing each other over turf wars. One drug gang even set up a practice firing range in the basement of a semi-abandon multi-story apartment building. Jay Z, Beyonce and child. Do I protect my career if I encounter another drug peddler, or do I follow my department’s printed guidelines and make the arrest, placing my future career with the department in jeopardy? Years earlier when I was a probationary rookie I placed my own career at risk by not following the printed PD procedure for dealing with a person possessing and burning marijuana in a public place. Year later, after making a heroin arrest that was frowned upon by my supervisor, once again my police career was being placed at risk, only this time it was for actively making a quality drug arrest. While it is not perfect I have nothing but praise for the NYPD. Throughout my career I acted like a gentleman and the department treated me like a gentleman. I could not ask for anymore. I write about and share evidence of America’s MUCH IGNORED, oppressive, potentially life scarring black or African American MATERNAL CHILD CARE #T_H_U_G_L_I_F_E NATIONAL PUBLIC HEALTH CRISIS that I, as well as a growing number of my reasonably responsible, caring, concerned American and foreign born neighbors believe is impeding our black or American neighbors of African descent from experiencing the equality and respect all peaceful, reasonably responsible Americans are entitled to enjoy.